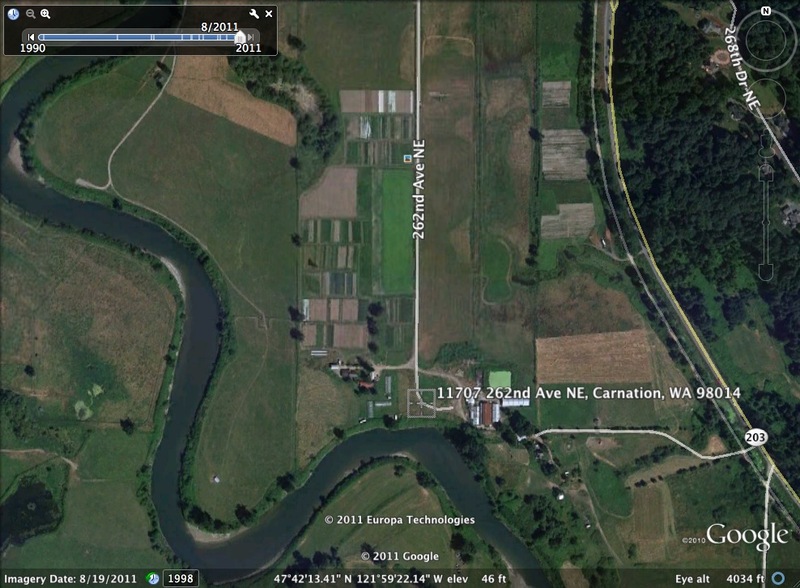 now it shows our fields, laid out in fairly straight rows, in its August bounty. If you look closely, you can see the shadows of people harvesting carrots. 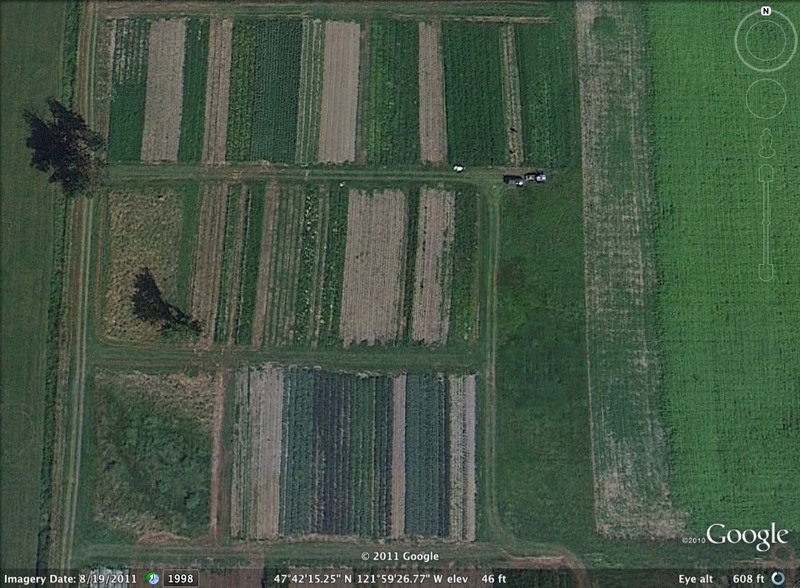 Today, if you looked down on our farm from the heavens, you’d see a few areas that still have rows of vegetables. But mainly, you’d see grassy fields again. 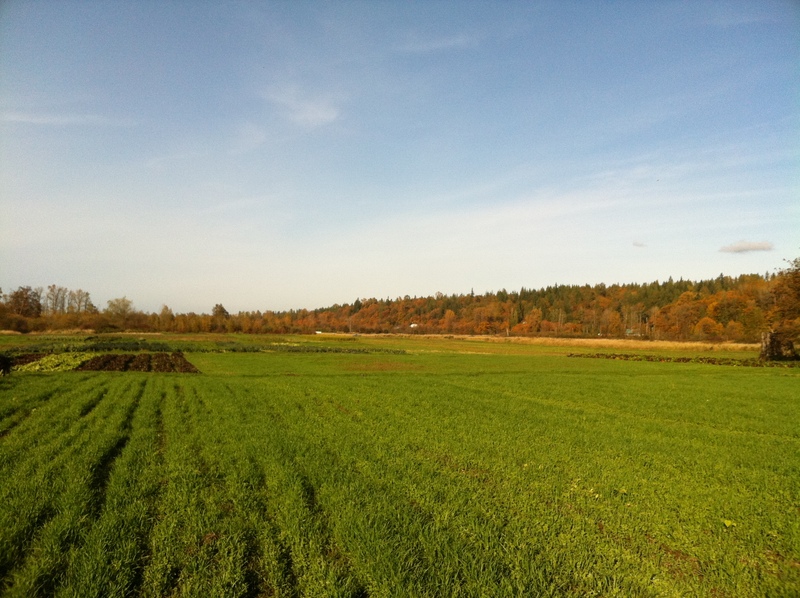 This time, though, the grasses are (mostly) cover crops. And the (much longer) shadows are of people harvesting storage vegetables. For the first time ever, we have a place to store storage crops. So for the first time ever, we are harvesting and storing carrots, beets, parsnips, etc instead of leaving them in the ground and hoping they aren’t killed by cold weather or flooded. With a forecast for temperatures into the 20s tonight and tomorrow night, roots in storage or not, our season looks to rapidly winding down. 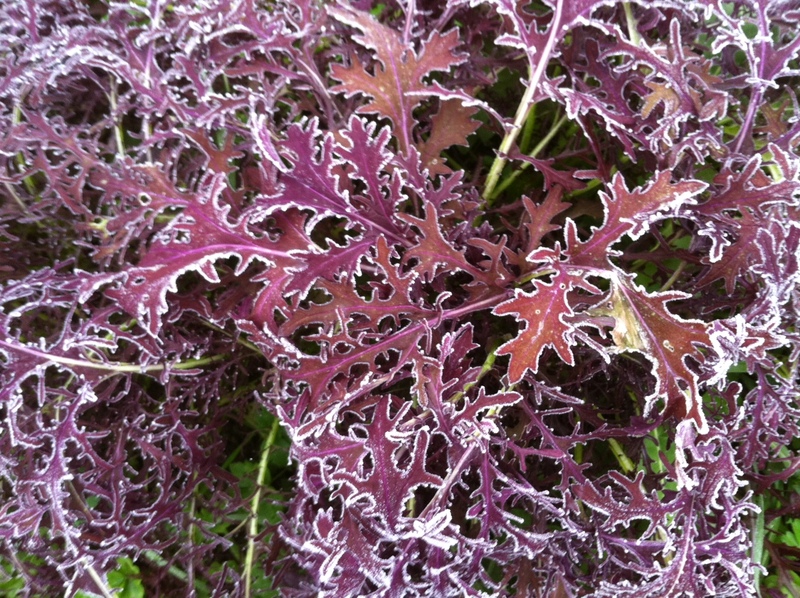 All our tender greens, many “hearty” greens, and our tolerance for cold fingers are going to take a hit this weekend. 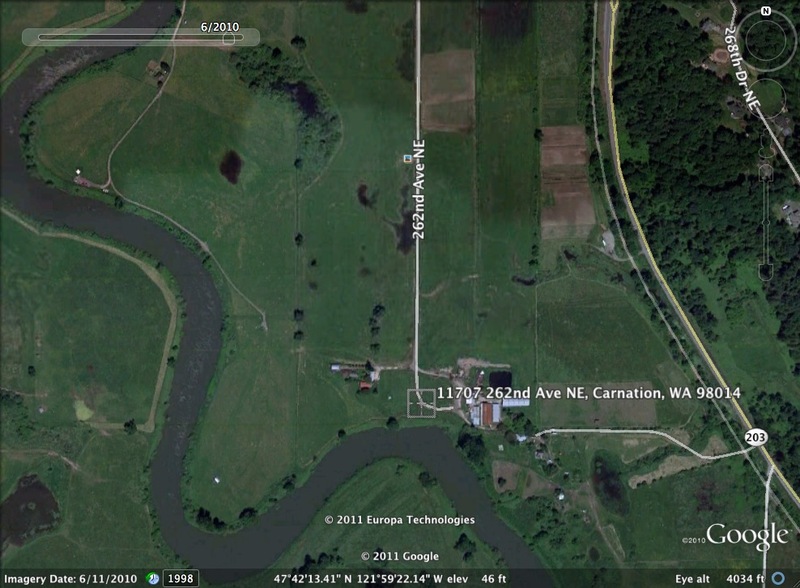 We are harvesting today for this Sunday’s Broadway farmers market, and that will most likely be our last market of 2011… thus beginning what’s probably the most fun part about farming: planning for next year. Thanks – we missed you too. Opening day next year is April 22, right around the corner!